Have you got the SEWF Team App? To keep you up to date with the latest information and news on the SEWF competitions, get the SEWF Team App. You can access fixtures, venues, ladders, live scores and social media on SEWF. 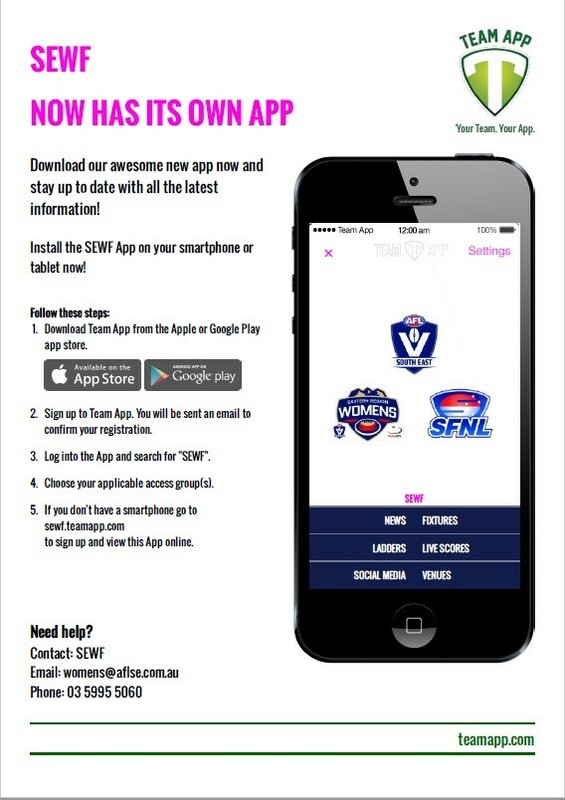 You can download Team App for your mobile device from the App Store or Google Play, or go to www.teamapp.com and click on Find a Team App and search for SEWF.